Convenience retailers must use technology to create new experiences that ensure customers are digitally at the center of everything they do. It is no secret that consumers are increasingly more demanding. Unlike the days of old, there is no shortage of information or options when it comes to commerce. Today’s consumers take online purchases for granted and demand convenience, personalization and a great experience. In fact, according to Deloitte’s 2019 Retail Industry Outlook, the top reason consumers buy online is convenience. Because online stores like Amazon provide that value to their customers, some are saying brick-and-mortar retail is dead. For example, we no longer rent videos from Blockbuster. Even convenience stores are being disrupted by more convenient options. Companies like Filld are helping us bypass gas stations altogether by delivering gas directly to our vehicles. Better yet, consumers can “fuel” their cars just by plugging them into their electrical sockets at the end of the day. So, does this mean convenience retail is dead? I don’t think so. Brick-and-mortar retailers, including convenience retailers, still have a tremendous opportunity in front of them. By leveraging digital technologies, they can transform themselves into a very compelling option for consumers. Unlike previous technology advancements, digital transformation goes beyond efficiency and often creates new business and operating models that ensure customers are digitally at the center of everything retailers do. Some of those new models may include frictionless checkout, personalization and increased focus on emotional, not just transactional, loyalty. According to NCR, a leading point-of-sale manufacturer, 73% of consumers think the checkout process in stores is painful. In fact, 20% of consumers abandon their shopping carts if lines are too long. To solve this problem, many retailers are experimenting with a better checkout process. For instance, Texas-based grocery chain HEB is piloting a mobile app that allows consumers to scan items as they take them off the shelves. Once customers are done shopping, they stop by a special kiosk to scan a code on their phones and simply walk out. Ironically, but certainly not surprisingly, Amazon is experimenting with something even more magical in their Amazon Go stores. There are no cashiers, lines or even kiosks in Amazon Go locations. Consumers simply walk in by scanning their phones at the entry, grab whatever they want and walk out. As they exit, they are charged for their purchases, and that’s it. In addition to an easy and convenient shopping experience, consumers want an experience that’s personalized to their tastes and needs. According to a study conducted by Accenture and the Retail Industry Leaders Association (RILA), 63% of consumers are interested in personalized recommendations, and most of them are willing to share their data in exchange. If retailers could marry personal recommendations with frictionless checkout, the shopping experience could match or even rival an online experience. Imagine pulling up at a fuel dispenser, lifting a nozzle, filling up a car, getting automatically charged, and afterwards receiving a message about deals on your favorite product inside the store. While retail accounts for more than 42% of all loyalty memberships in United States, many retailers struggle to capitalize on these memberships, Deloitte says. In fact, the average consumer is a member of more than six loyalty programs, yet 65% of consumers are unengaged with more than half of those programs. That’s likely because most programs focus on the transactional nature of commerce such as deals, coupons and discounts. Instead, they should focus on creating an emotional connection with the brand by providing great experiences, convenience and personalization. In addition to rewarding consumers for purchases, learn from their preferences and past search and shopping history to improve their experience. While the above examples may illustrate some aspects of digital transformation, there are countless other ways to satisfy the demands of modern consumers. The key to digital transformation is not in using technology alone, but in truly transforming how companies think about their business. One company that seems to understand this well is 7-Eleven. As their Chief Digital Officer – Gurmeet Singh pointed out in a recent Forbes article, “We need to be acting like a software company, an API company, a big data company, and truly become a technology first company.” In his example, companies like Uber completely redefined the traditional taxi service because they were a digital technology first company. 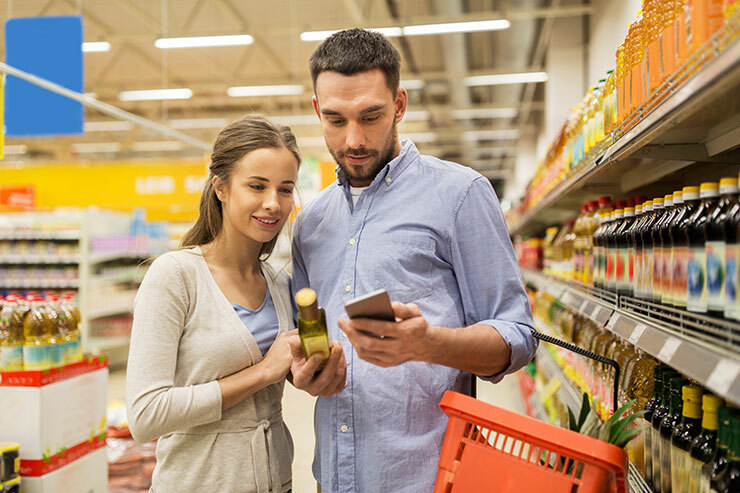 If convenience retailers take the same approach, there is no doubt they can satisfy the latest generation of consumers who demand convenience, personalization and a great experience.